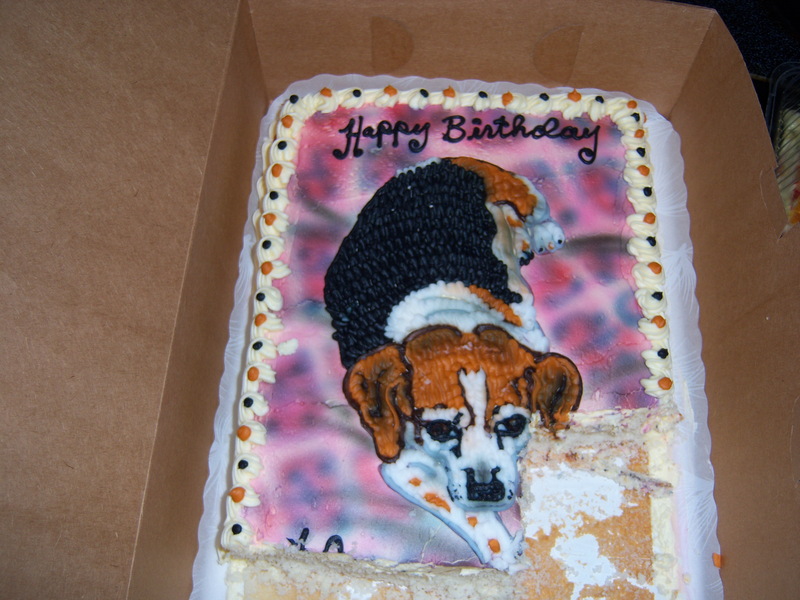 WE can’t believe it, either: the hound blog is a year old today! Thanks to our regular readers and hound enthusiasts (and quite a few random visitors) from around the world (yes, really), we’ve logged 18,866 views in the past year, as of this morning. 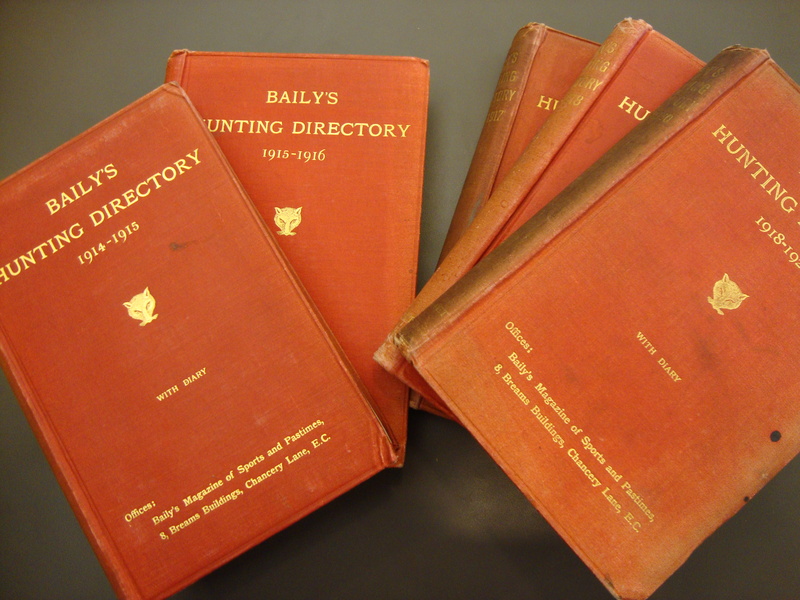 The blog has been linked to from the Berkeley Hunt and Baily’s to Pet Connection and the National Sporting Library, and beyond. 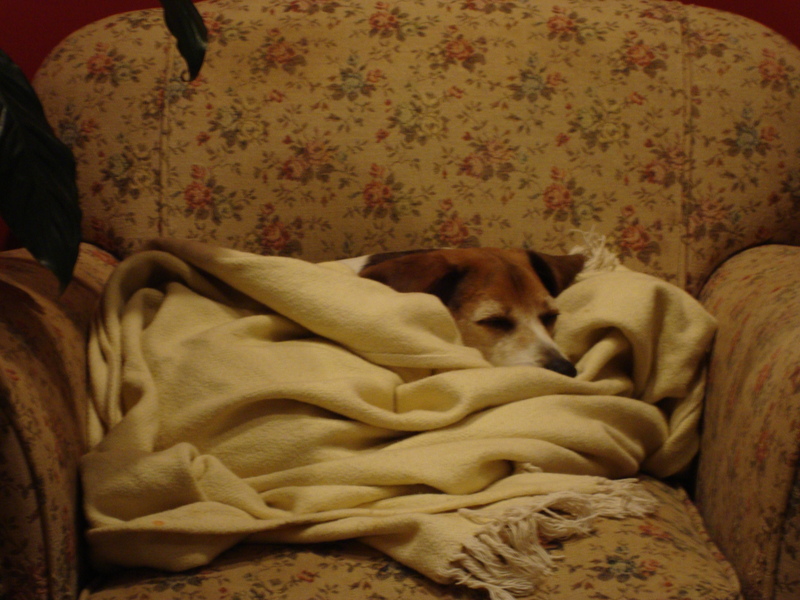 Mr. Houndblogger bore it all cheerfully--even the conformature at Patey. Some stats: our best month, in terms of views, was March 2010, with 2,566 views. Our busiest day was December 7, 2009, when 229 viewers stopped by to see the Middleburg Hunt in the Christmas parade, our most popular video to date. Our two most popular posts? 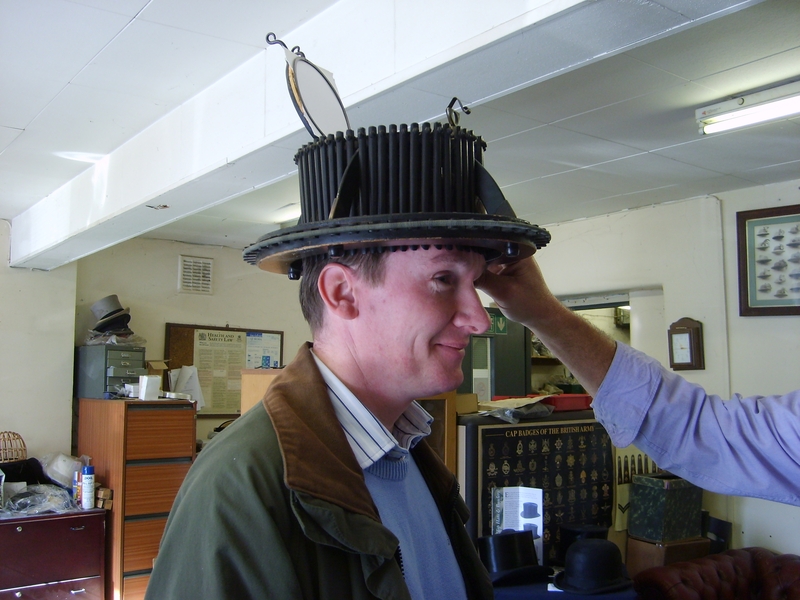 Some of the Best of YouTube and Houndbloggers Abroad: Hunting’s Historic Clothiers. In honor of the big day, here’s a link to Our First Post Ever. 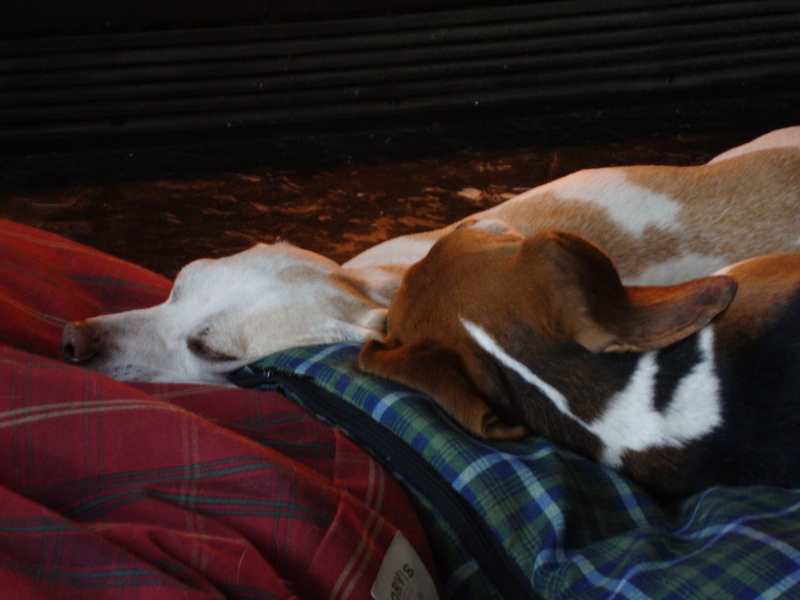 THE BEAGLE HOUSE hounds , if they asked us to read them bedtime stories, no doubt would have us reach for this slim but charming volume that we got at the recent Virginia Hound Show. It is called Harehunters All but apparently went previously, that is before 1951, by the more intriguing name Jellylegs All. 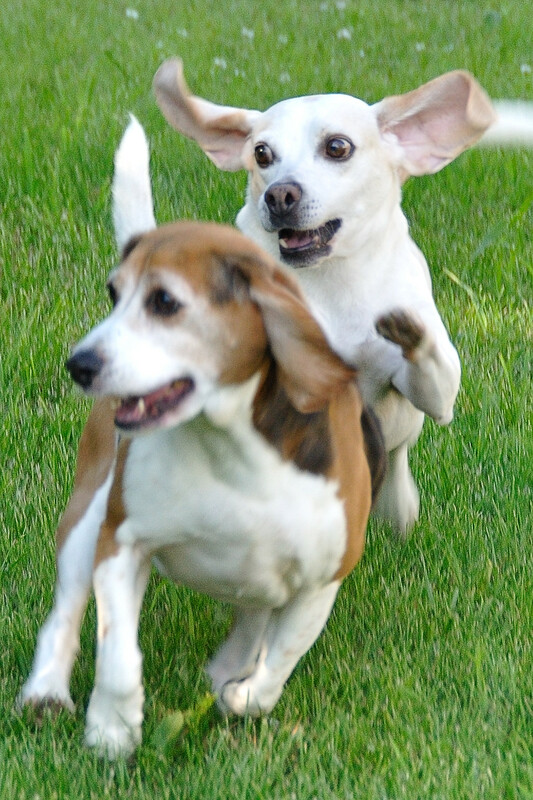 If any of you has ever been beagling, you will understand why. “Now, I am a foxhunter with all the ‘hooroosh,’ the bad manners, ill temper, and lack of consideration so often, and truly, attributed to foxhunters. 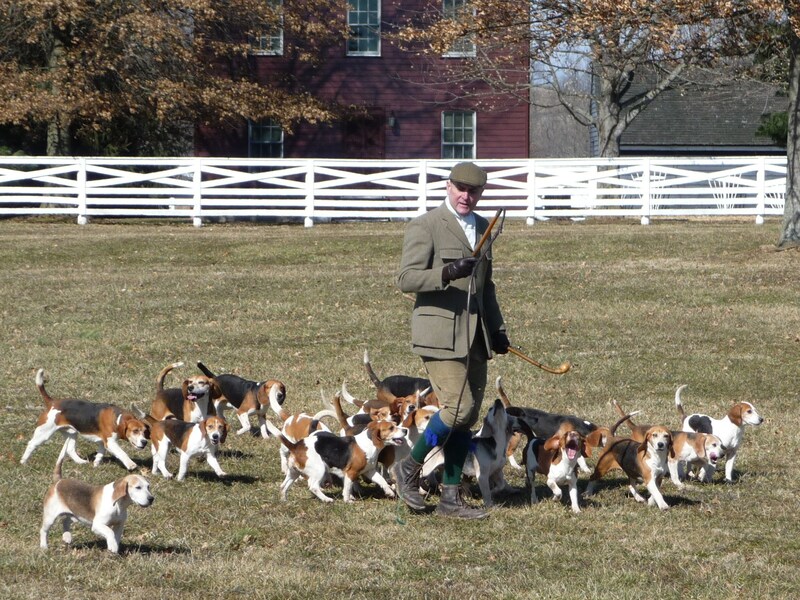 But when I want relaxation and genuine hunting I turn to my beagles and cordially agree with the old song that states ‘There’s no sport to compare with the hunting of the hare.’ Many people in these latter days seem to want to look down upon beagling as a shoddy imitation of foxhunting and in many establishments there has crept in the desire and the attempt to hunt hares as though they were foxes; huntsmen delight in saying that their hares ‘ran like a fox.’ Let me assure you that no two animals run more differently and is every hare did run like a fox then there would be no hares left, for hounds would catch the lot of them. 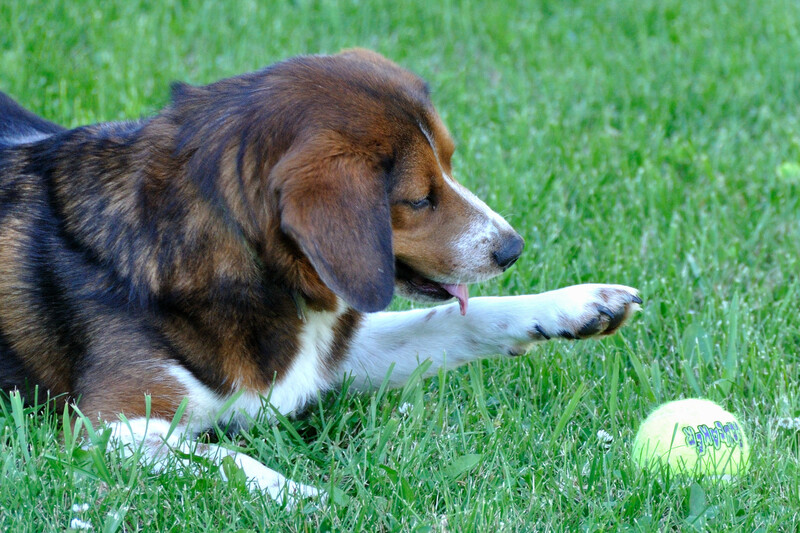 To see some beagling (and bassets, too) from this blog, check out videos here, here and here. Driver, center, on his first summer hound walk. MONDAY was the day we’ve all been waiting for. Driver’s first hound walk. He loved it! He dove right into it, and we’re not just speaking figuratively, as you’ll see in the video. Remember when he was only this big? That was almost a year ago, in July 2009, and we thought he was a pupposaurus then! The BA puppies are taking their first summer walks with older members of the pack this summer. AND SO we come back to where we started–on summer hound walk! Driver has yet to make his debut, but the year-old BA puppies are gradually being introduced to the working pack. 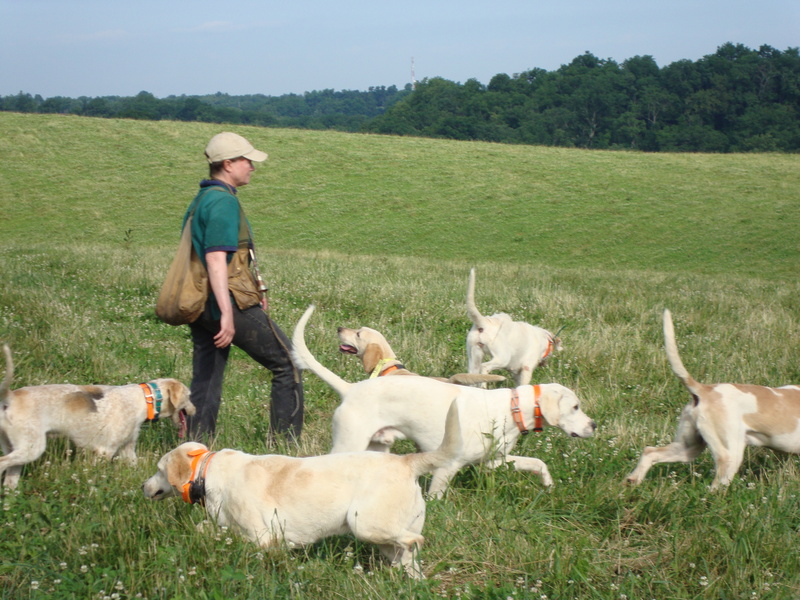 At this early stage, Iroquois huntsman Lilla Mason is bringing them out in small groups with some of the older hounds, who can lead by example as the youngsters meet up with new sights, smells, and adventures off leash and away from the kennel. Cattle are one of the important new sights and smells combined, and it’s crucial that the puppies get a good introduction to them, because once they join the pack on hunts, the hounds must be able to ignore cattle (and their scent) when tracking coyotes. 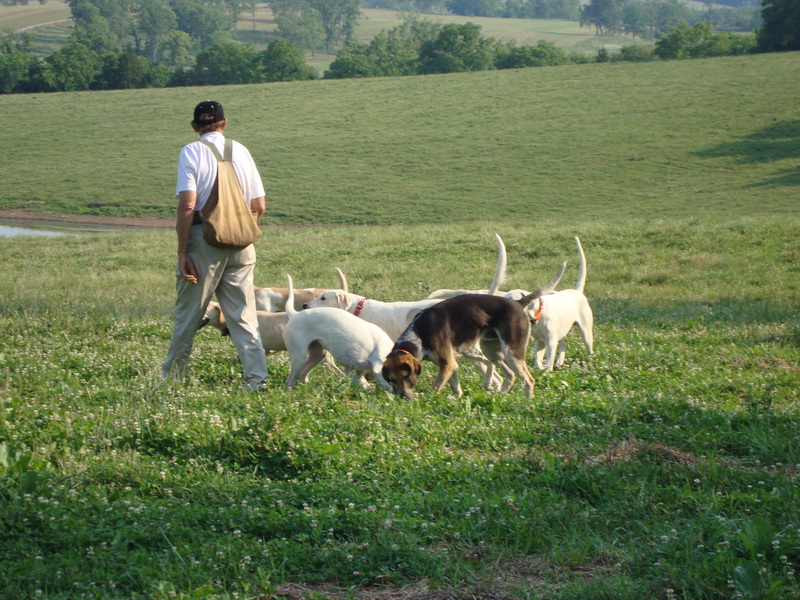 The quarry often will run through cattle in an attempt to foil the scent, and hounds must maintain professionalism under those circumstances, parsing out the coyote’s scent without disturbing the cattle. The Iroquois pack’s early summer walks take place in a large cow pasture. That gives the hounds the opportunity to work around cattle every day, to learn that they are simply part of the landscape, and to grow comfortable with them. In the video, you’ll recognize quite a few of the puppies: Bangle, Banknote, and Bailey feature prominently! 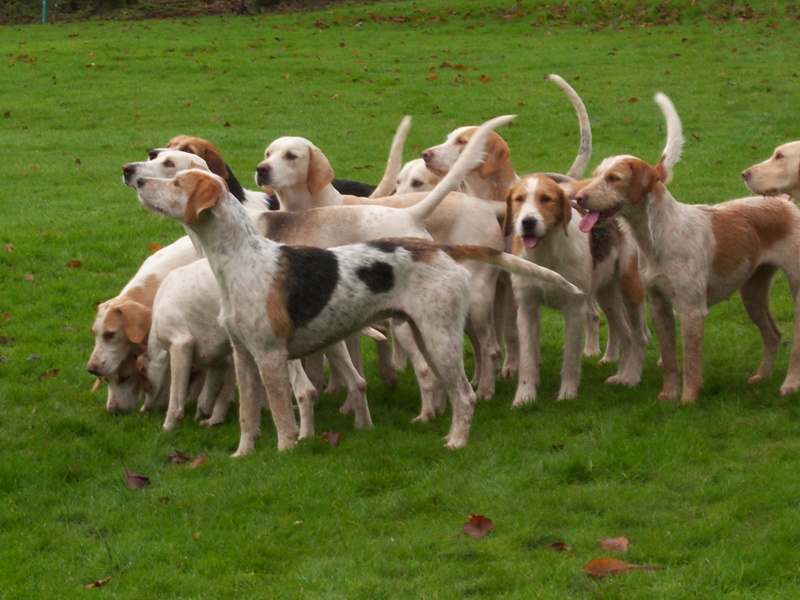 Other goals on hound walk: to teach the puppies to come, even when something interesting has their attention, and to introduce the concept of working as a pack. It’s early days yet, and the walks at the moment are very gentle affairs as the puppies explore the wonders of the cow pasture, particularly the pond, where they take a dip twice in the course of the walk. But everything serves training. 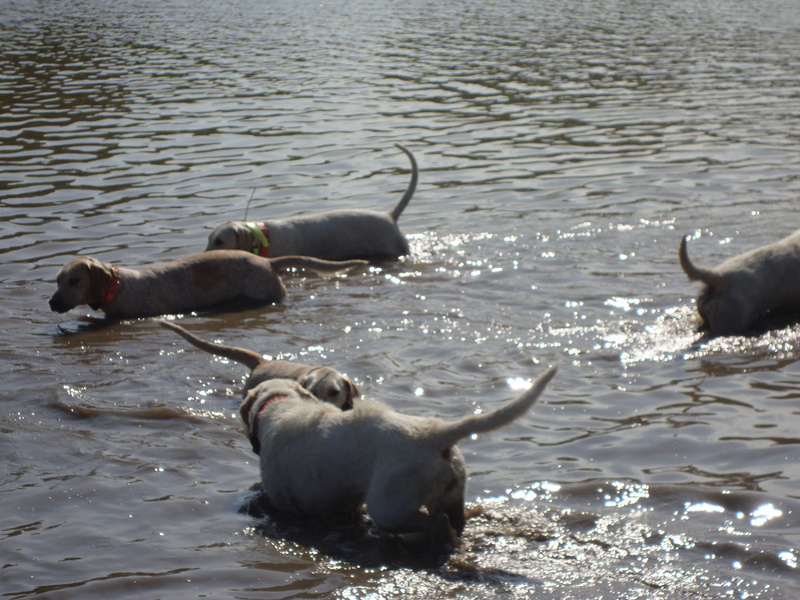 The hounds clearly enjoy wading and chasing the biscuits Lilla tosses for them in the pond. Stay tuned for more of their adventures, including Driver’s debut on summer walk! 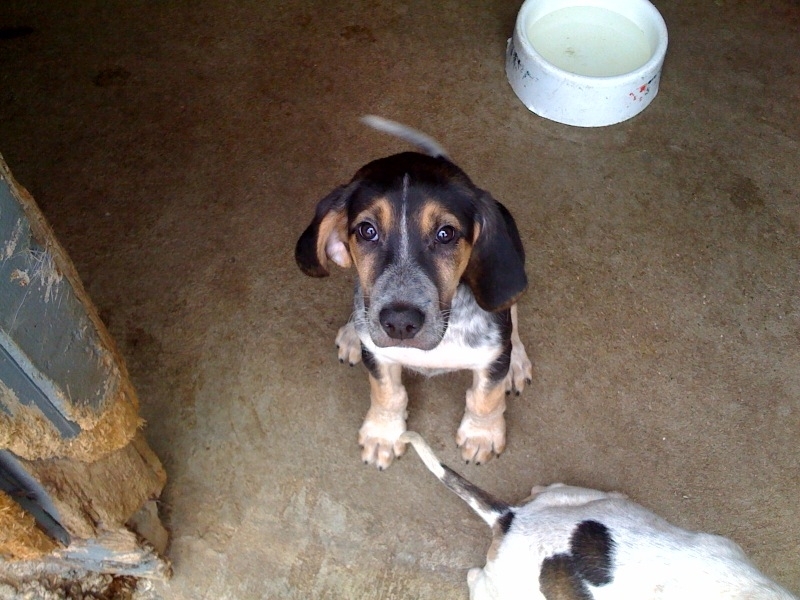 The Virginia Hound Show: foxhounds everywhere you looked! IT was hot, but it was fun. Hundreds of hounds, from horizon to horizon. If you can’t be out hunting, freezing in the sleet and gale-force winds atop Pauline’s Ridge or some other place while the hounds go singing along Boone Creek, well, if you can’t be doing that, standing in the shade of massive old trees and watching just about every kind of foxhound with every kind of coat–English woollies, American tri-colors, and black-and-tan Penn Marydels–parading by isn’t too shabby as an alternative. Especially when one of your hounds takes home a trophy, which is kind of nice! Best fun of the day: seeing relatives to our hounds, such as Hailstone’s sire Live Oak Hasty and Iroquois Gloucester’s son Mill Creek Rasta. 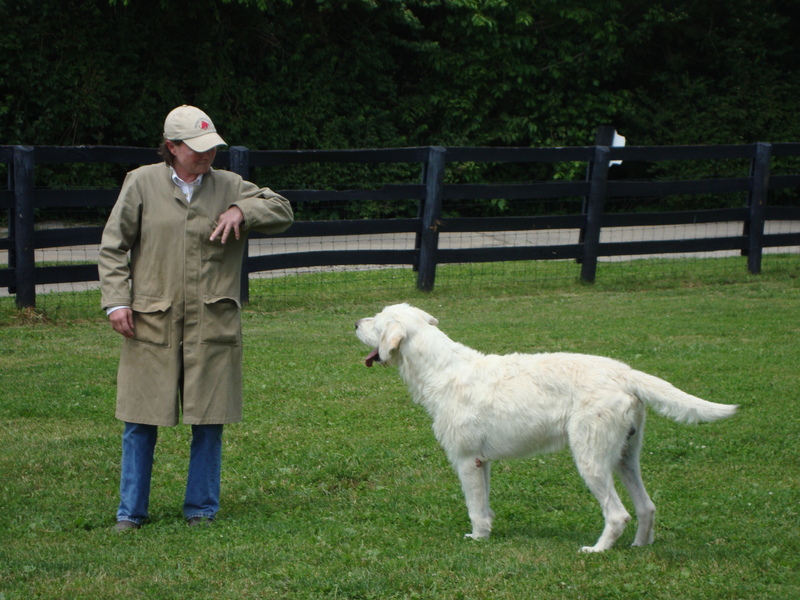 But now, as Iroquois huntsman Lilla Mason put it, the fun really begins: summer hound walk. 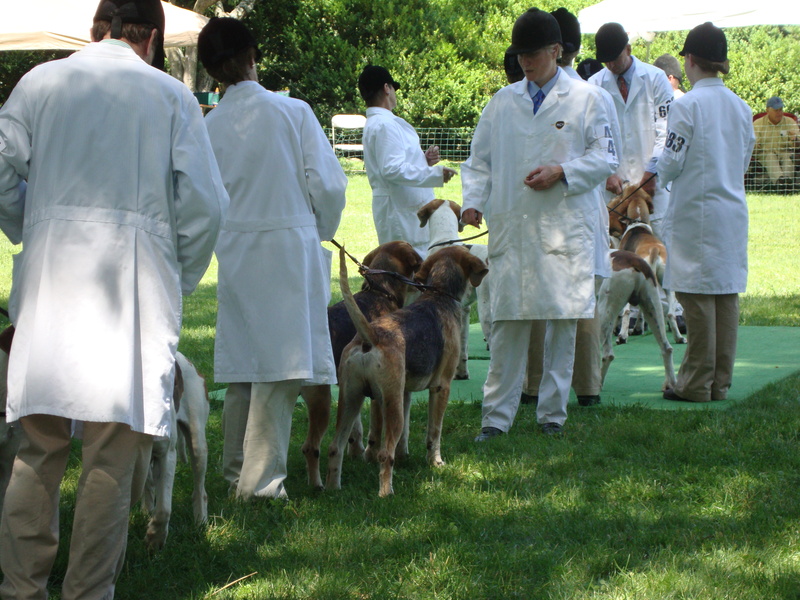 That starts in just a few days, and the houndbloggers are especially looking forward to it. Paper, the clown of last year’s puppy crop, is now a hunting veteran, and it’s time for Driver and the BA litter to start walking out with some of the big pack. We’ll be following their adventures! ICE BOX didn’t win the Belmont Stakes, much to our Mr. Box‘s disappointment. He finished ninth (but was placed eighth due to Uptowncharlybrown’s DQ to last) in a race that, as our Mr. Box had feared, showed little early pace. Mr. 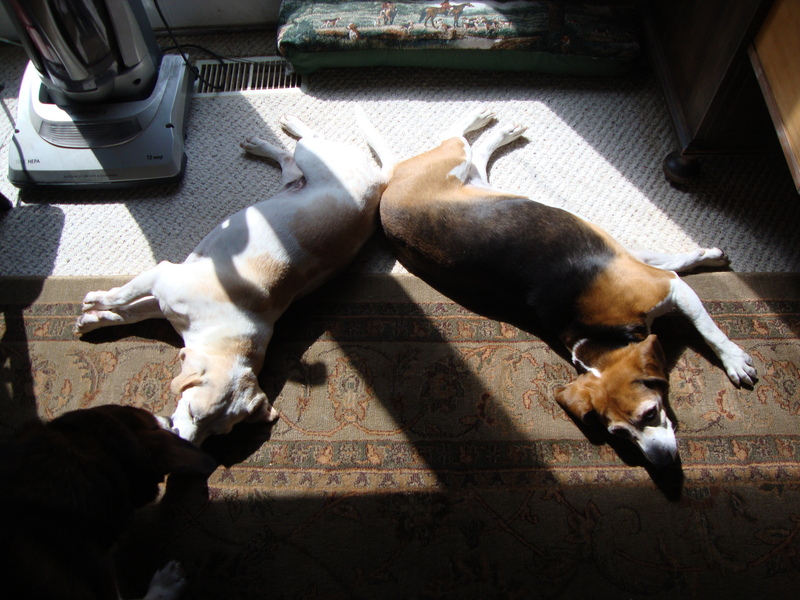 Box and the Beagle House hounds are a musical lot, and, to express their woe, they have dedicated a special singing of the blues to the equine Ice Box, the defeated Belmont favorite. We wish the hard-running colt much luck in his next race and hope he will turn the tables in the Travers at Saratoga in August! 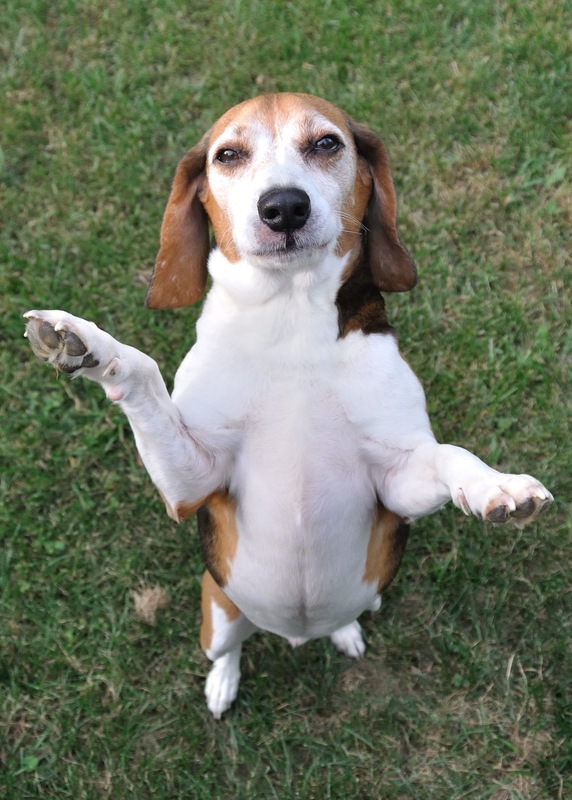 In case you are wondering, Harry is the lead vocal in the Beagle House Trio. Our Mr. Box contributes both harmony and percussion at various points, and the final “whoot” at the end is his solo.